Sunday morning, Rich and I went to visit a church for the first time after months of time off. I didn’t sleep much the night before, my mind playing through every scenario. How many times would I have to hold back a heavy sigh or wish I could roll my eyes? How many times was I going to hear something disparaging women or gays or any other minority group? How many times was I going to have to convince myself that it was worth it to keep going back? We arrived at the church and Rich reminded me that if it was too uncomfortable or awful, we could just leave. I reminded myself that it would be an hour. 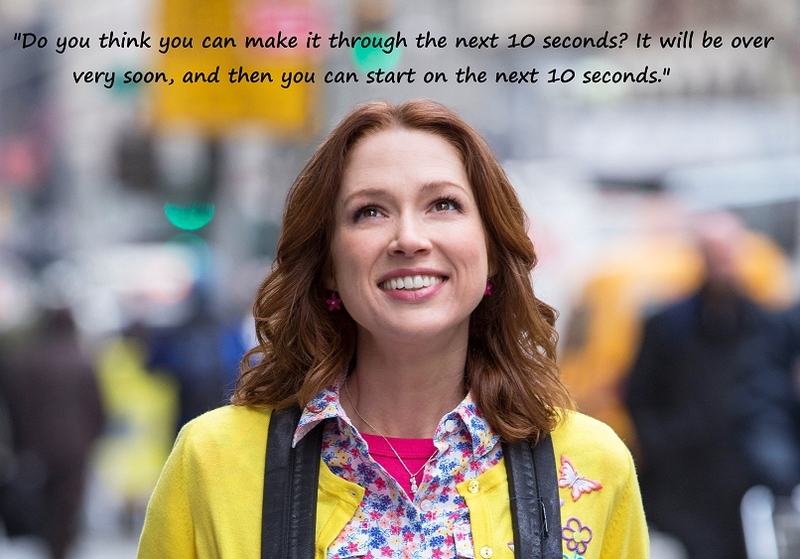 If I was thinking in terms of Unbreakable Kimmy Schmidt, I only had to endure 10 seconds at a time, so only 360 ten-second intervals. I could survive. But I kept the escape idea tucked in the back of my mind. The sermon was “The Way Back Home” about the prodigal son. The pastor reminded us that part of listening to this parable requires us to find ourselves not only in the sons, but in the father as well. We need to be watching for those who need to be forgiven and held. We need to be the ones to extend grace no matter what. To close, we sang the Casting Crowns song Jesus Friend of Sinners. Which was the point in the service when I most strongly considered walking out, as tears dripped down my face and my shoulders shook with the sobs that I was trying to choke back. But ten seconds at a time later, I made it through and the service was over. We went to our car and sat in the line of traffic waiting to leave. We talked through the service and both agreed that it was hard to sing the last song. I said that I had a difficult time with it because we had sung it in both of our previous churches, but it hadn’t meant anything when it came time to show grace. We had still been asked to leave. Twice. Hearts led by mercy? As if. Singing that again just opened up the hurt that I had felt all over again. How could I trust another church when my heart had already been trampled on by others who had claimed to follow those words? But Rich had a different take-away. Instead of cynicism and hurt, he reminded me that we could not judge this church on the actions of others. He reminded me that we were called to forgive, that we were called to have hearts led by mercy. That even when we’re hurt, we still have a choice to make about our response to that hurt. The truth is, I’ve put myself solely in the seat of the prodigal son for the past two years. I have seen the damage that I inflicted on the church, and have been waiting for those churches to act like the father in the story. To welcome us back home with open arms. And it has hurt, hurt, hurt to instead be met with a back turned toward us. But as the pastor said, we are also the father, choosing to forgive. Choosing to let go of the ways that we have been hurt. Not to behave unwisely, but not to allow fear and hurt and anger to color interactions with every congregation. 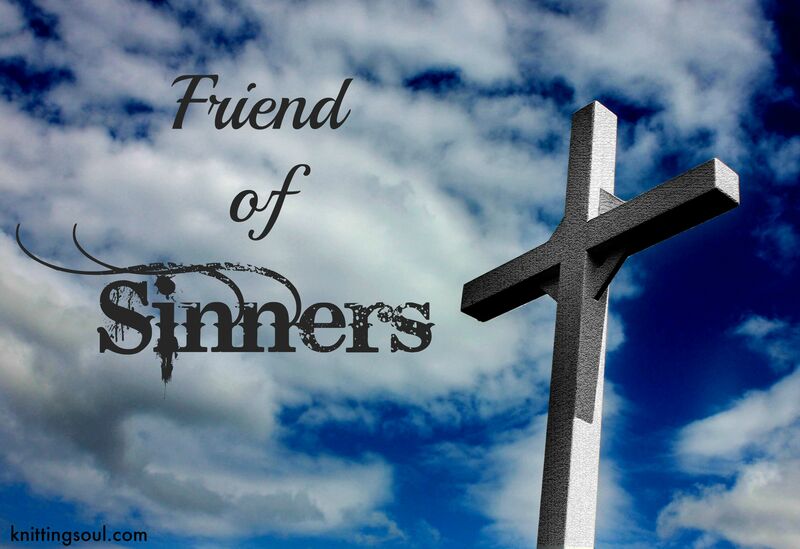 It’s time for me to remember that the Church is full of sinners, and I can be the friend. This entry was posted in Church and tagged church, forgiveness, prodigal son. Bookmark the permalink.